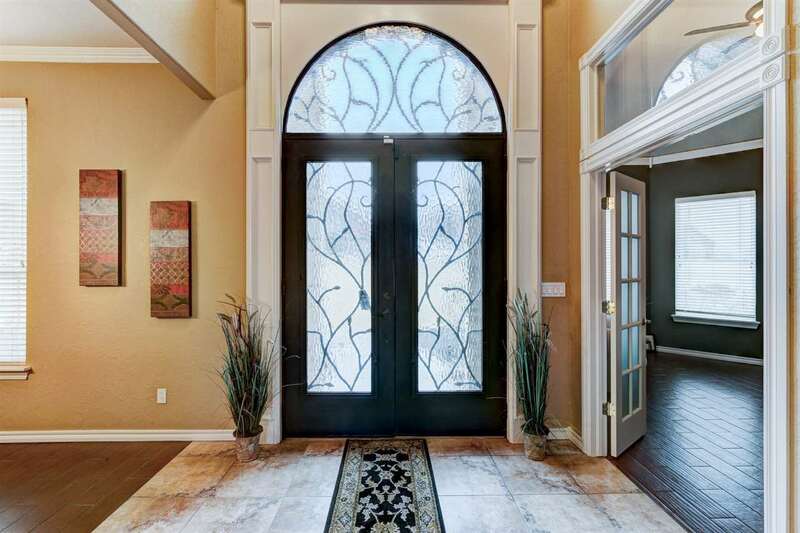 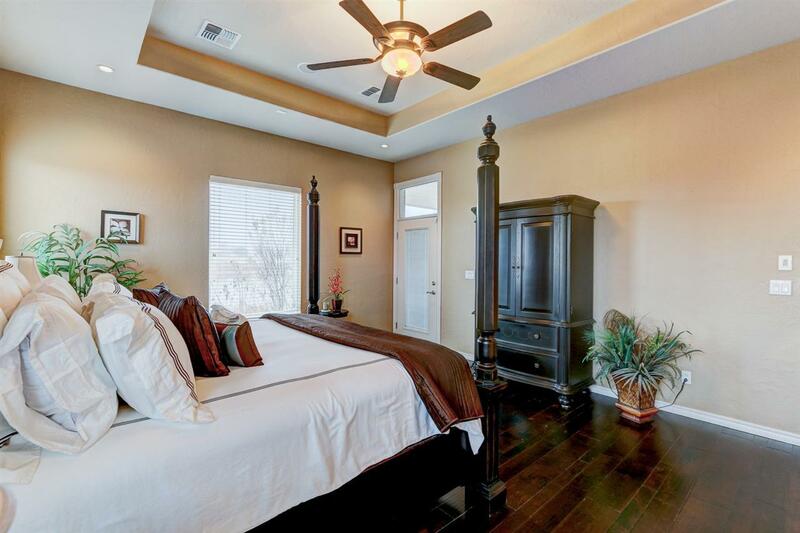 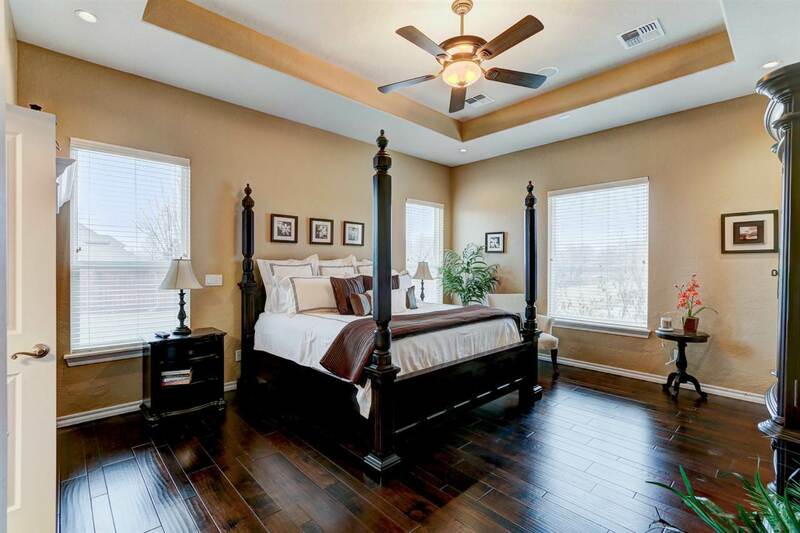 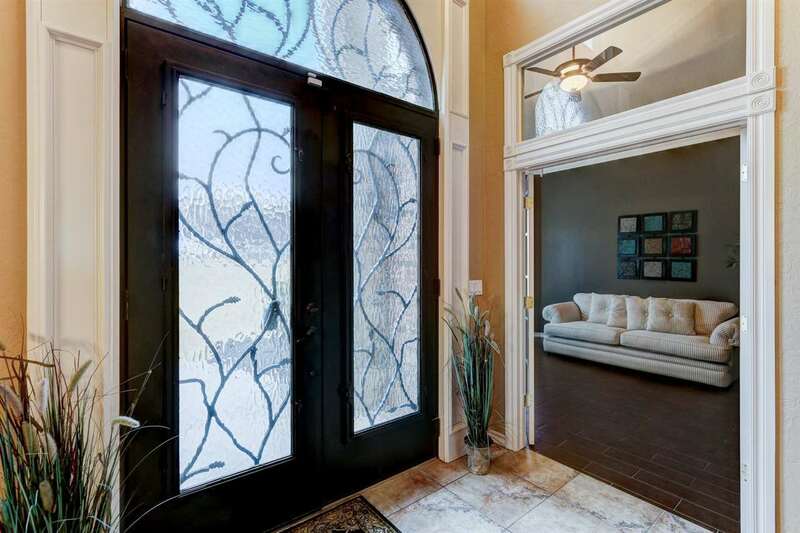 Beautifully redone home that looks like a new construction and some items are better than builder built. 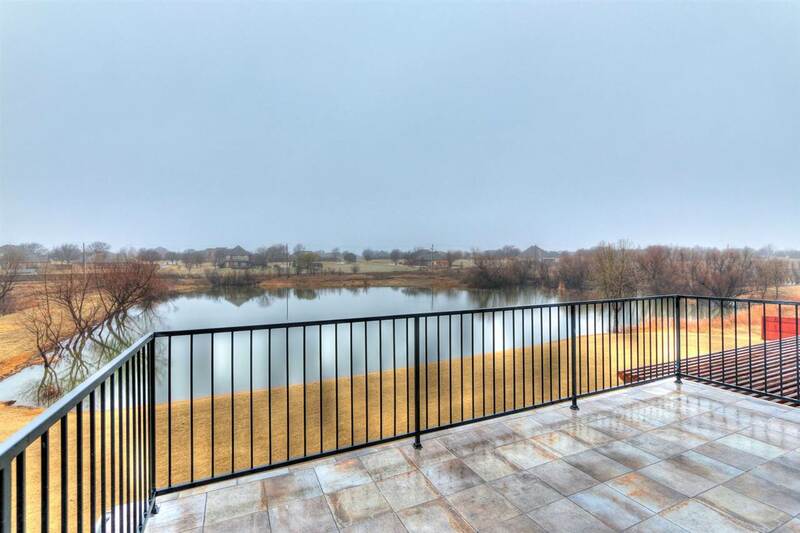 A great showplace with waterfront views on a 2.3 acre lot. 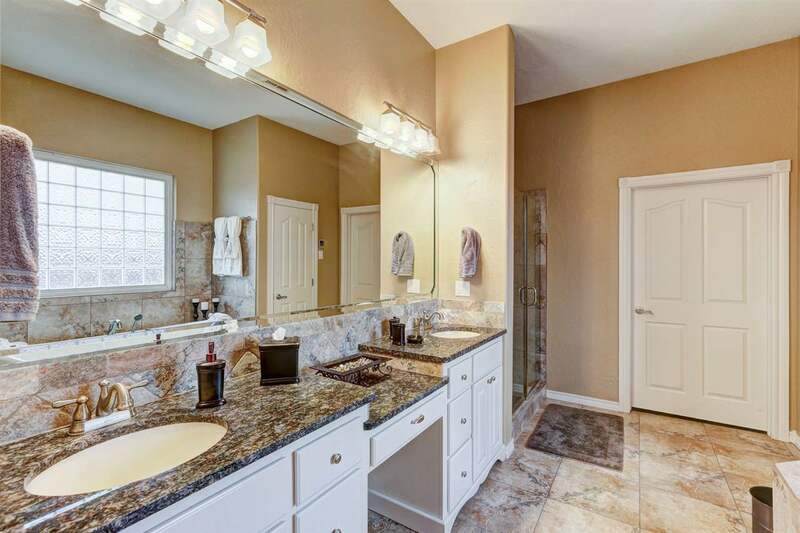 Several recent upgrades including new granite counters in all baths and laundry, freshly painted interior and trim, new hardwood flooring in master bedroom and upstairs game room and hall. 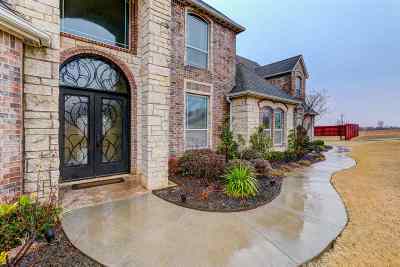 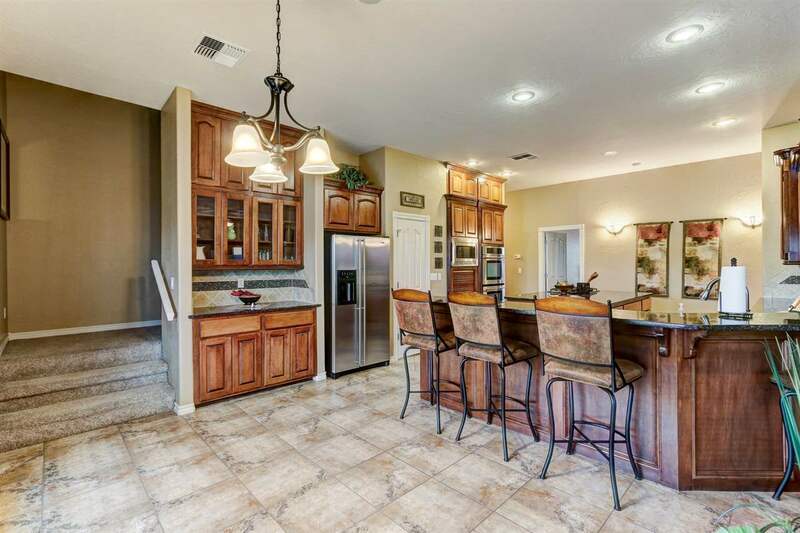 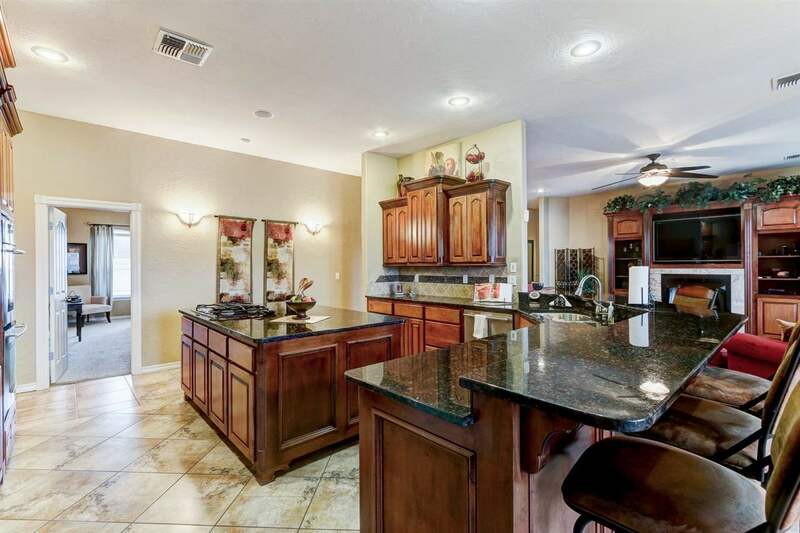 New light fixtures, granite counters and custom tile backsplash in kitchen, extensive landscaping with flowers, shrubs, trees and mulch, plus a 12 zone sprinkler system and a french drain. 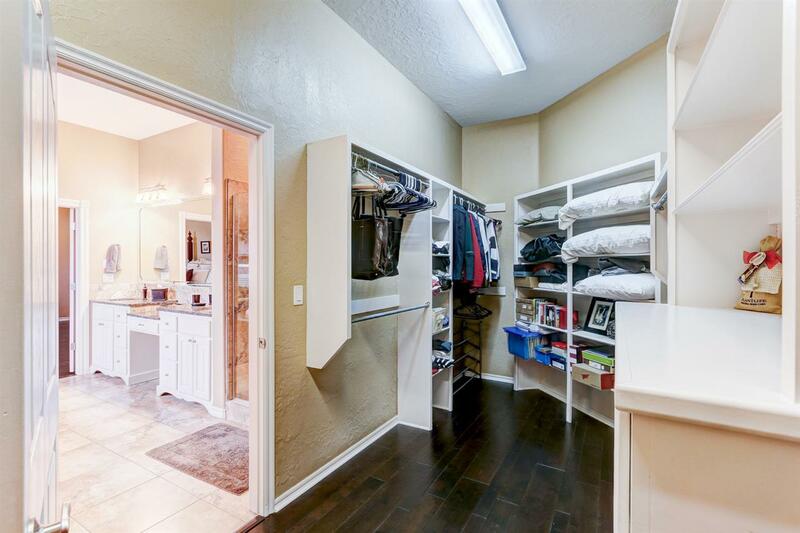 A 750 sq ft bonus room was recently finished out with new everything. 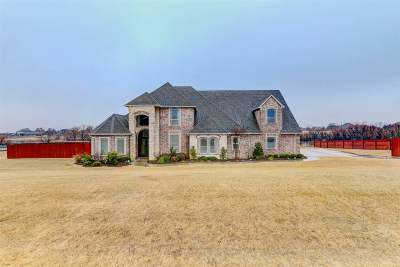 Other amenities include: a study with french doors off the entry, formal and informal dining areas, butler&apos;s pantry off dining room, large den with fireplace and built-ins, deluxe master bath with whirlpool tub and separate shower, double vanities and a large walk-in closet with new wood flooring. 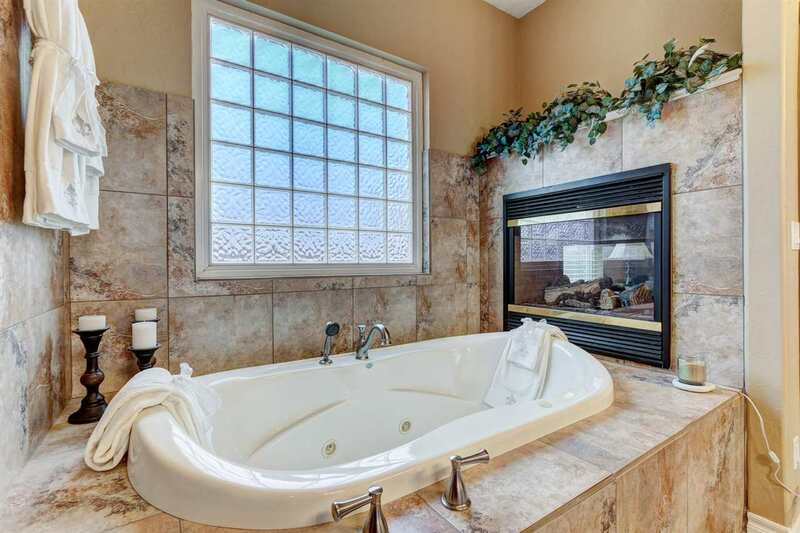 Two way fireplace between master and bath. 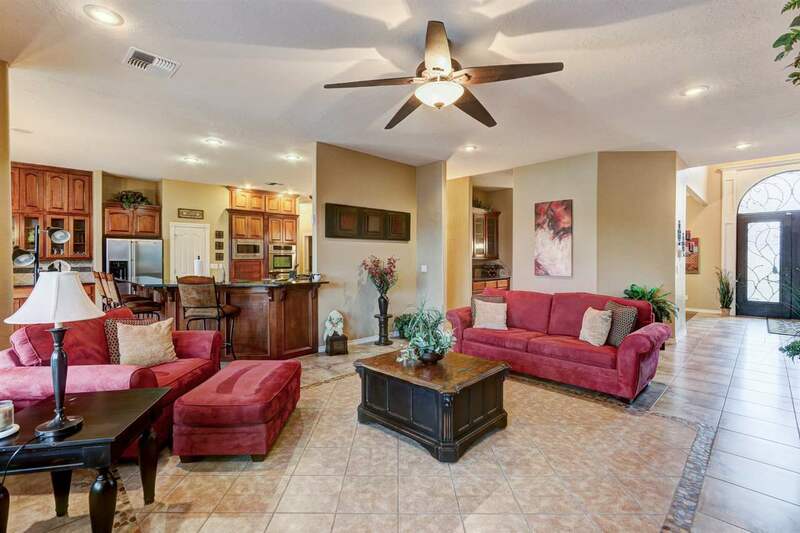 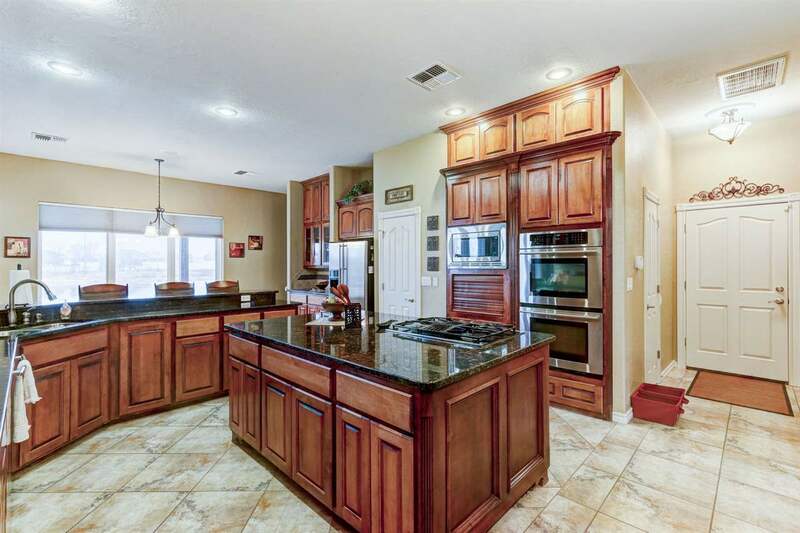 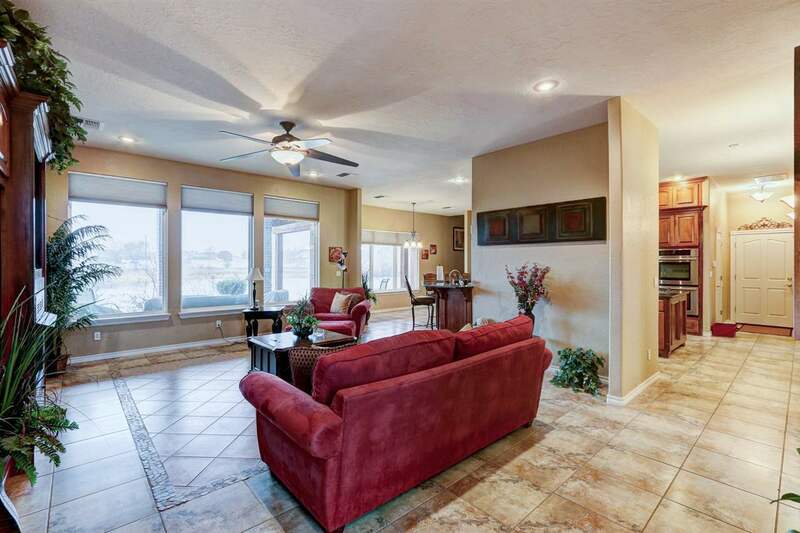 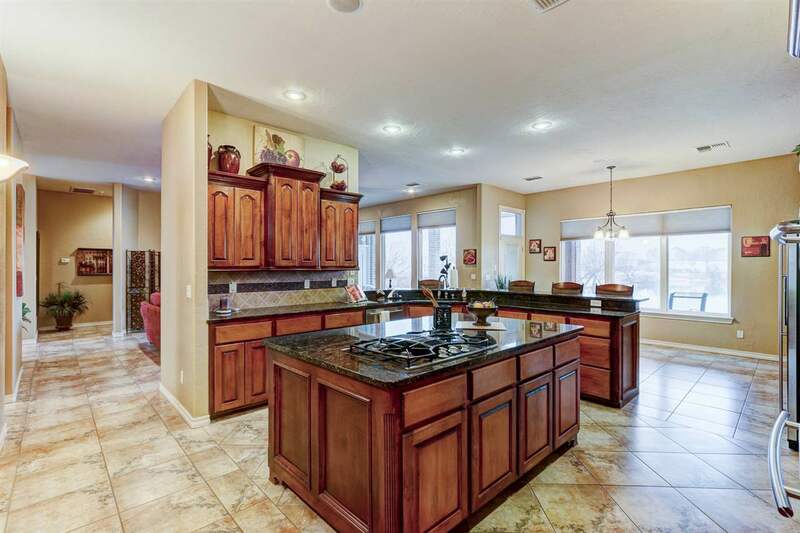 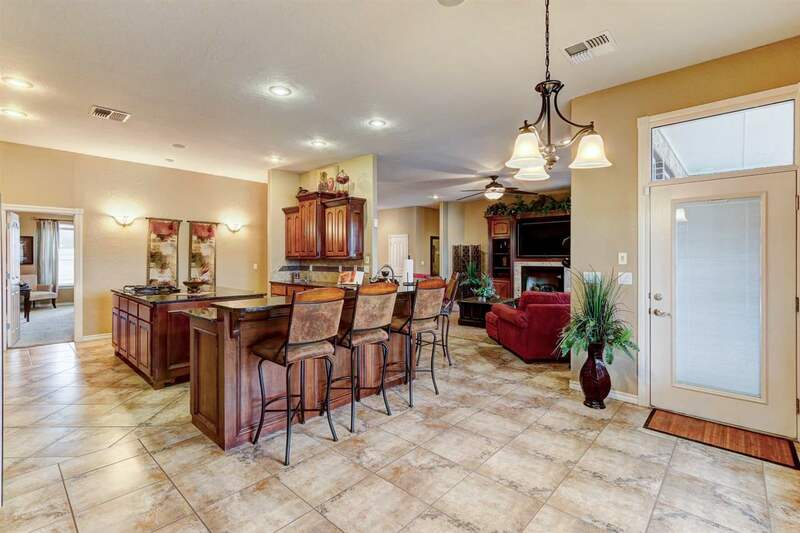 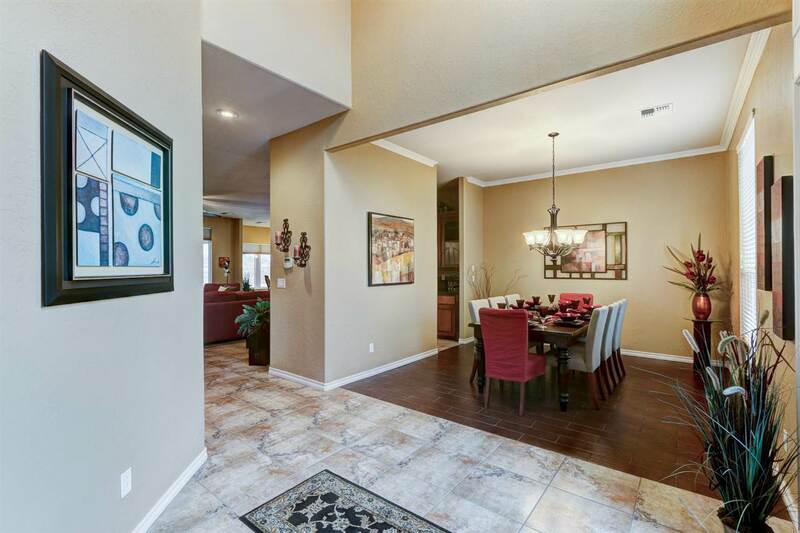 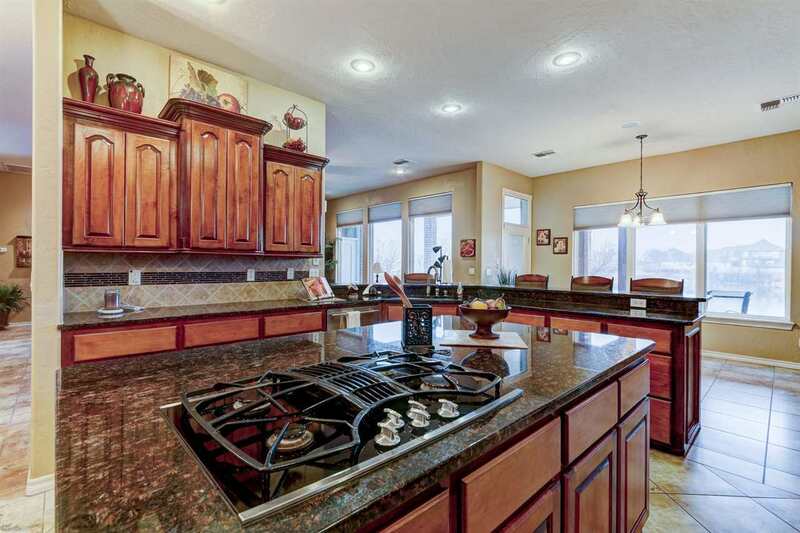 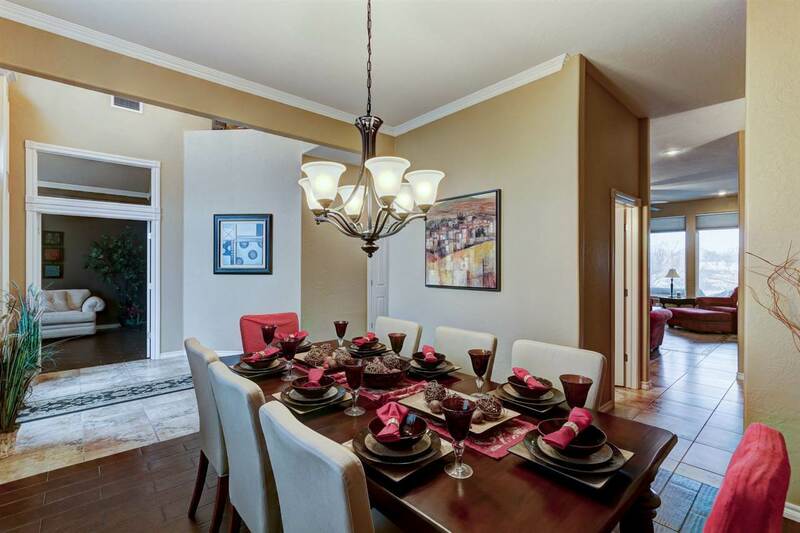 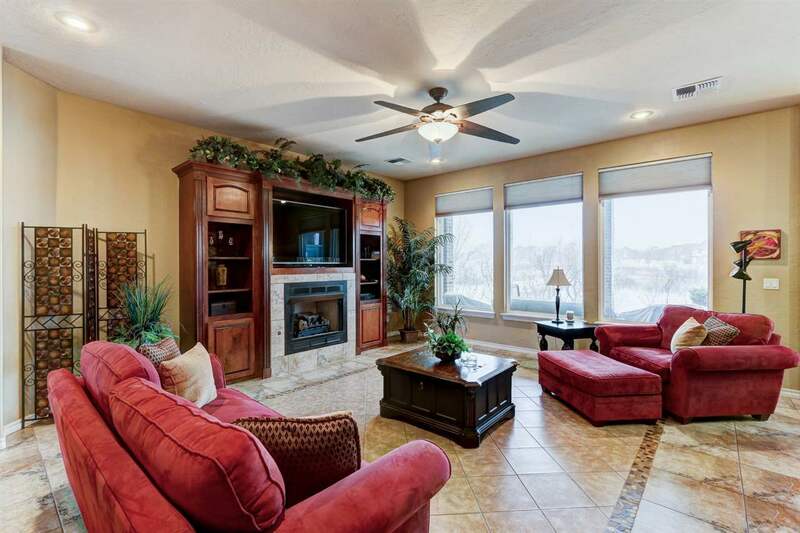 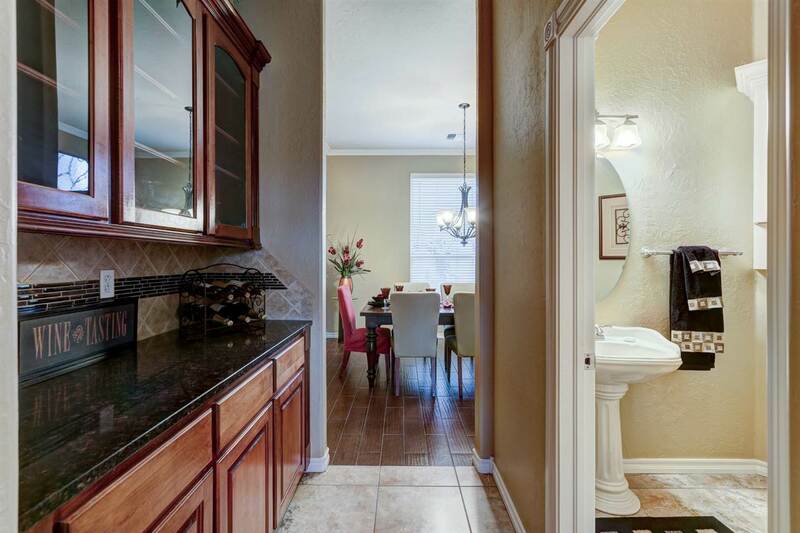 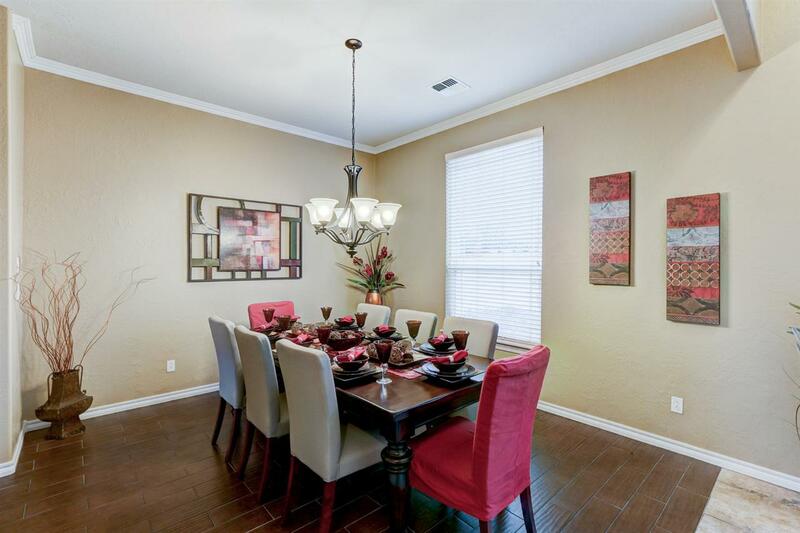 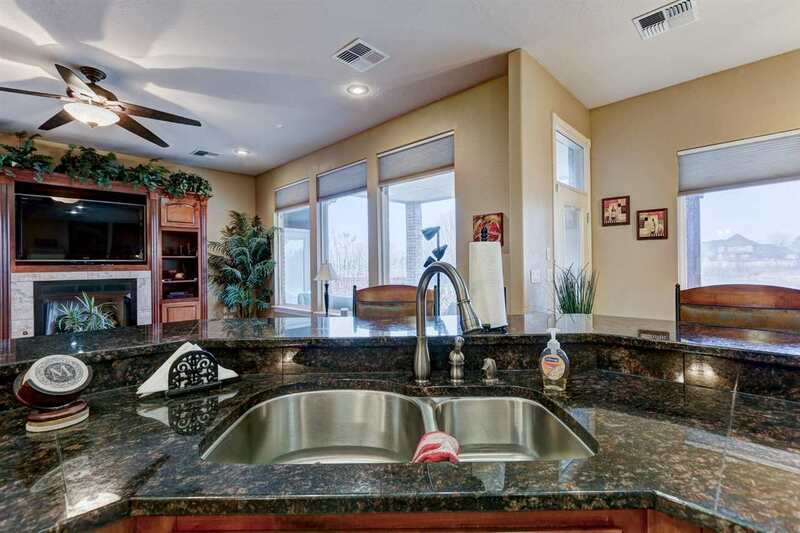 Large kitchen with gas cooktop stove, double oven, microwave, and large walk-in pantry. 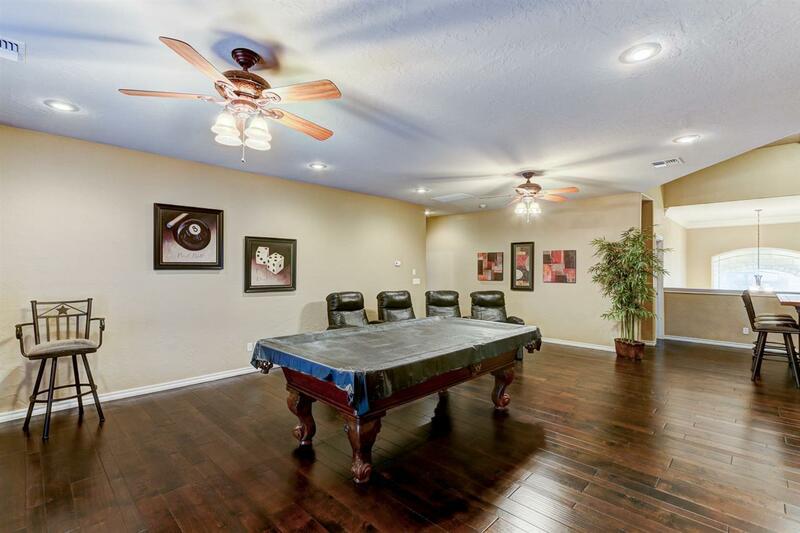 Upstairs game room has 1/2 bath and wet bar. 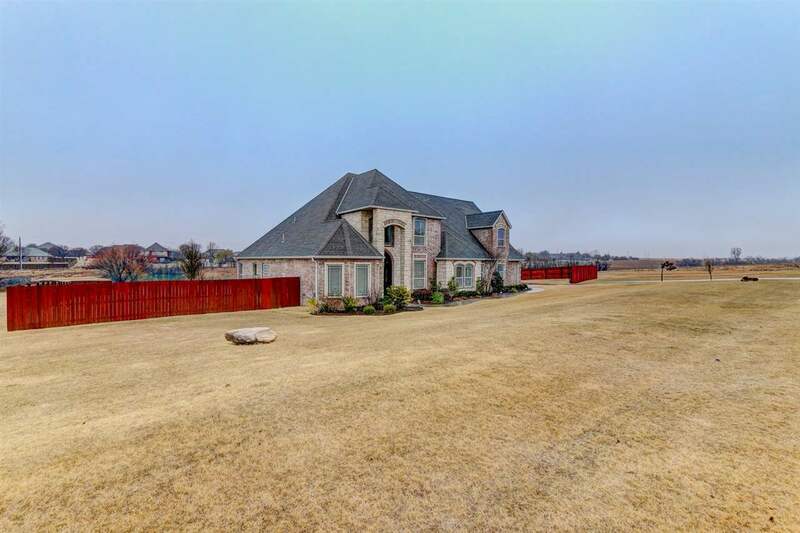 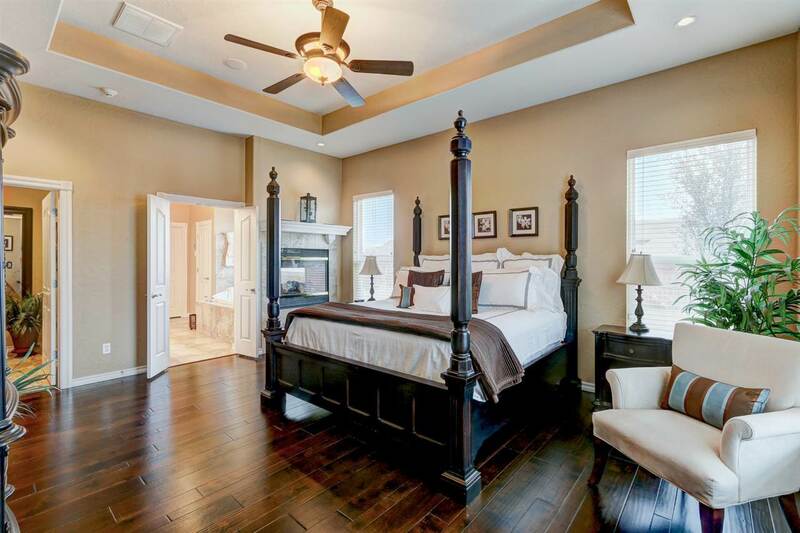 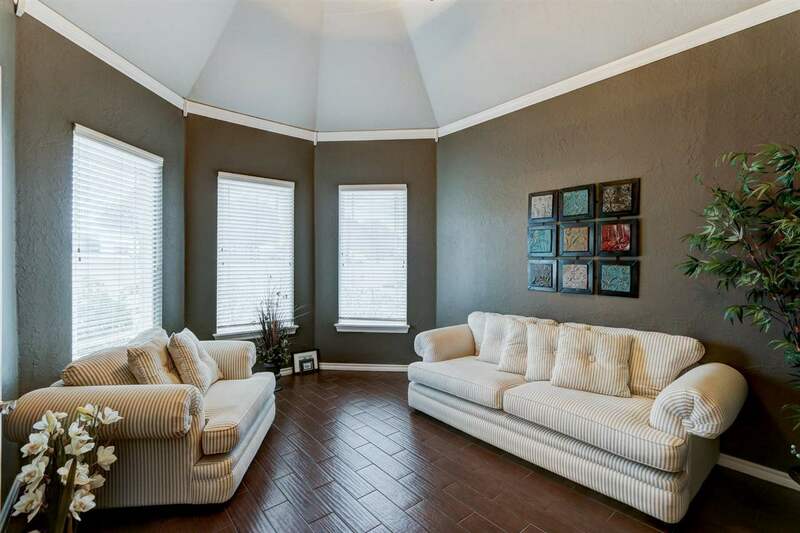 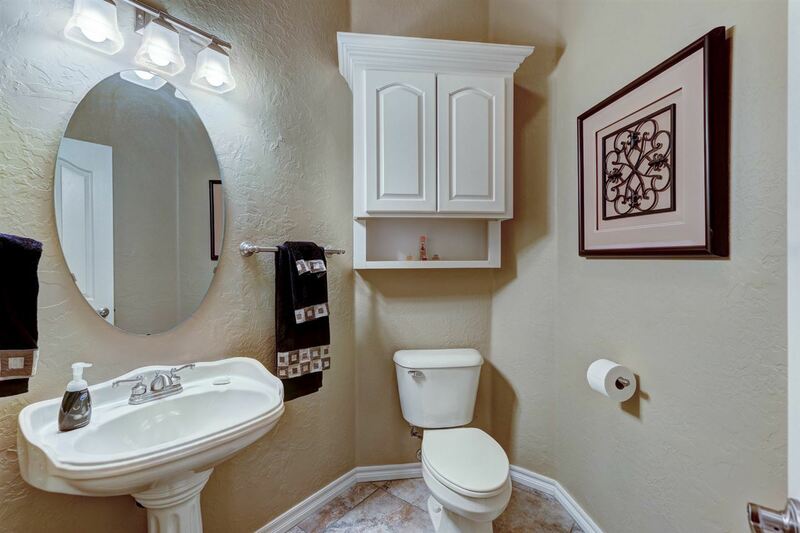 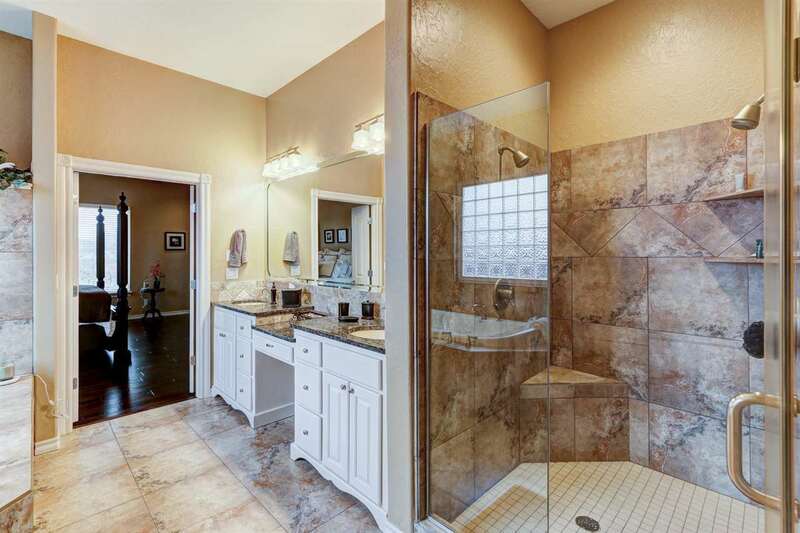 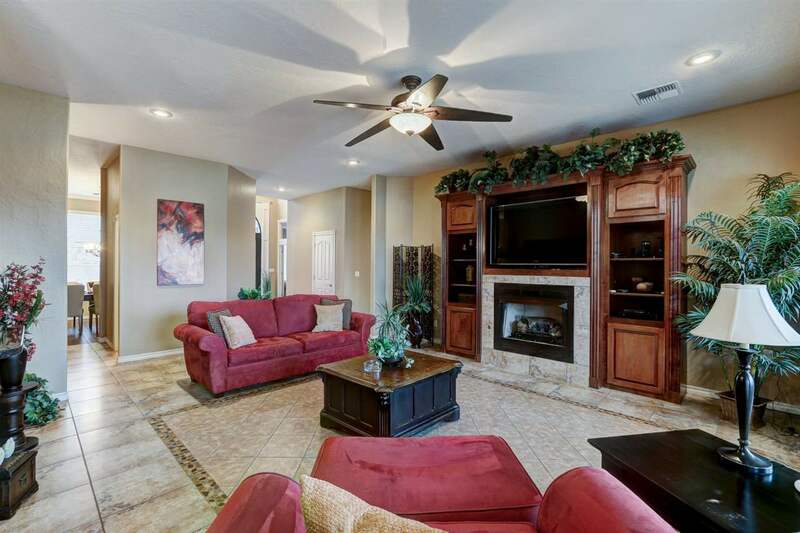 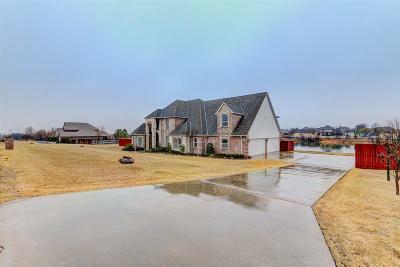 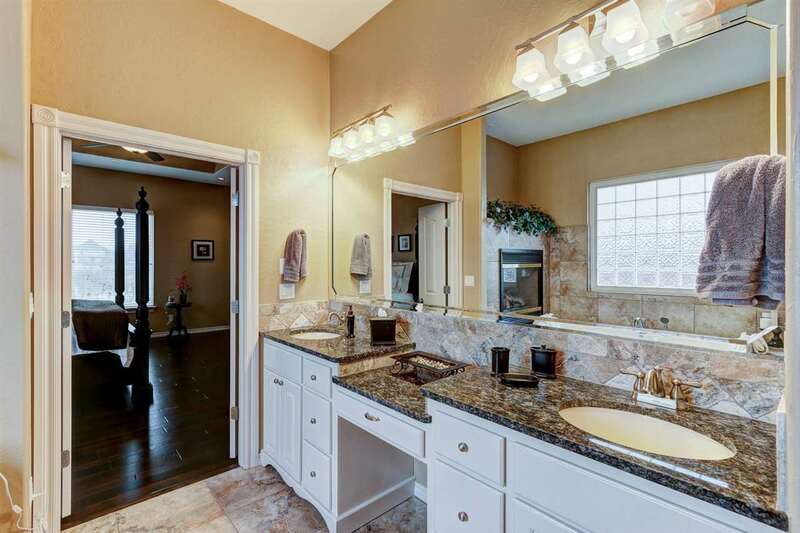 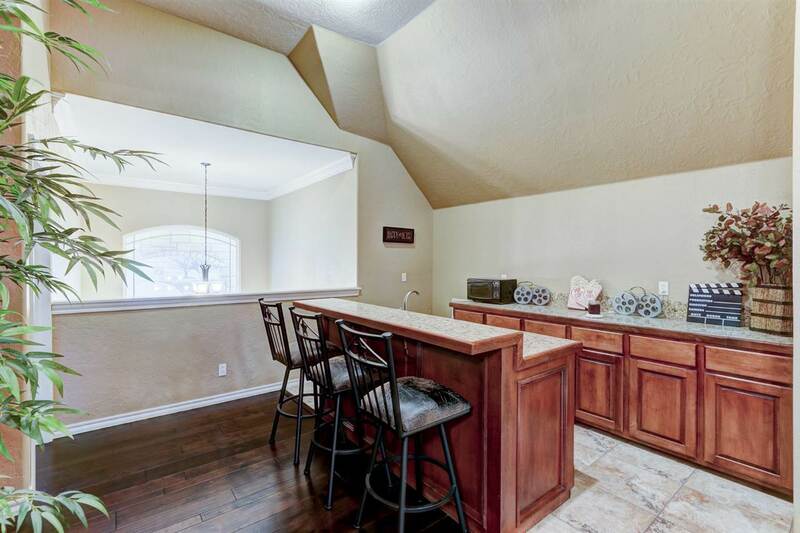 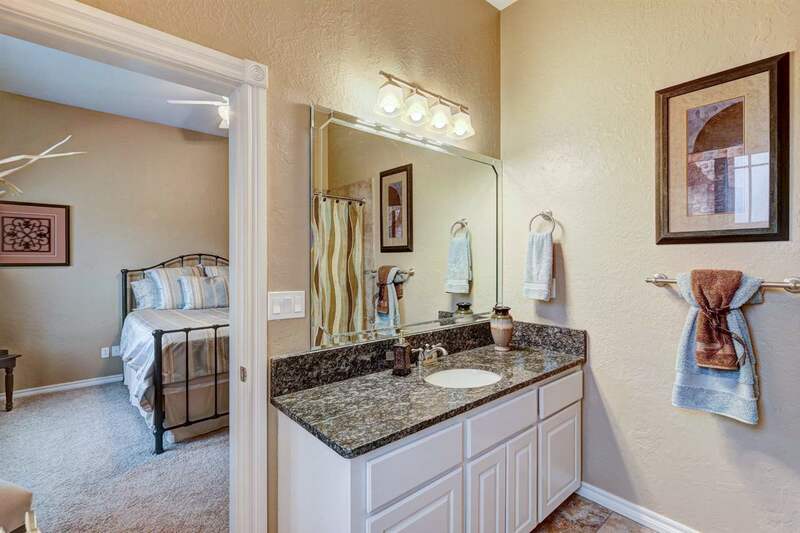 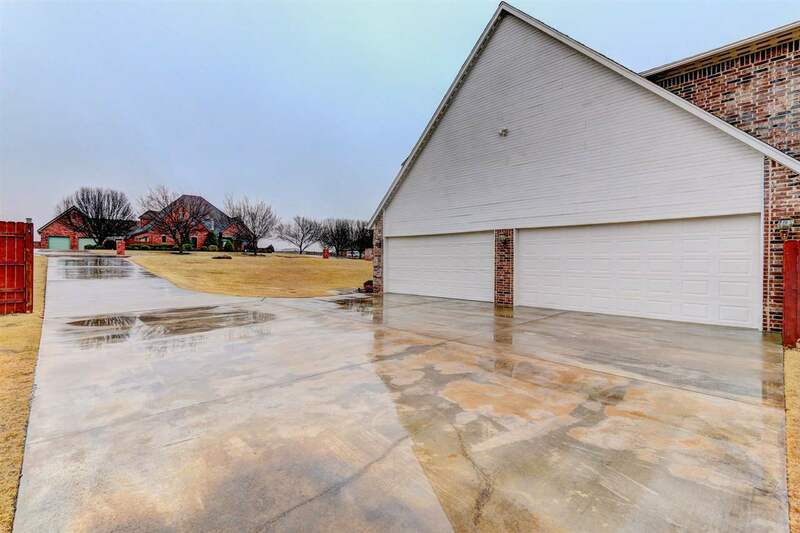 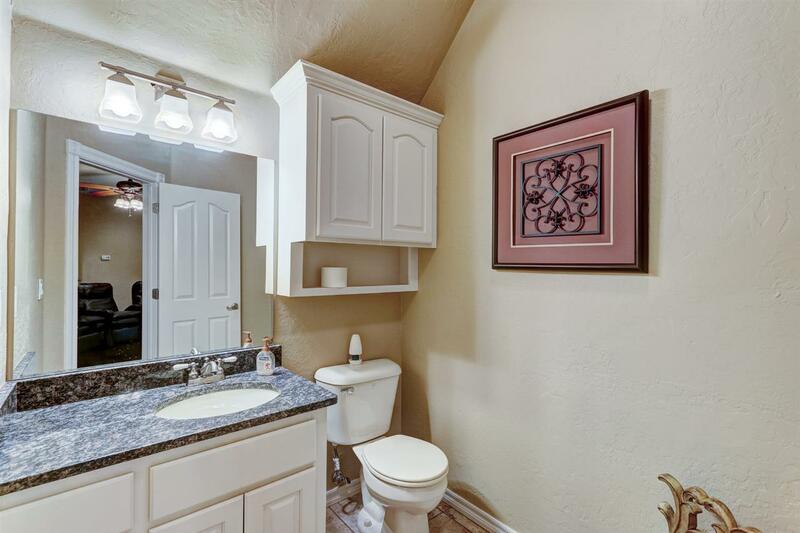 2.5 baths downstairs, 1.5 baths upstairs, security system, sound system, laundry chute, oversized 4 car garage with safe room, volume ceilings downstairs, 9&apos; ceilings upstairs. 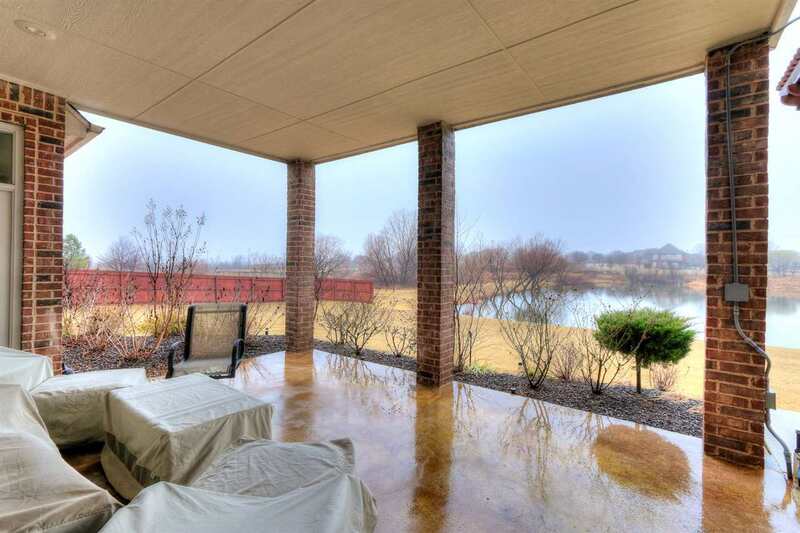 Covered patio with Pergola overlooking the pond with gas hookups for future outdoor kitchen. 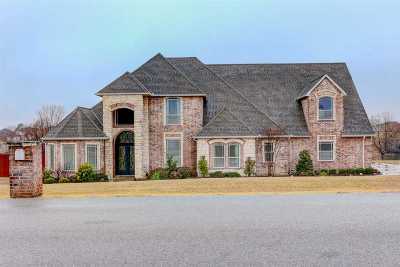 Incredible home. 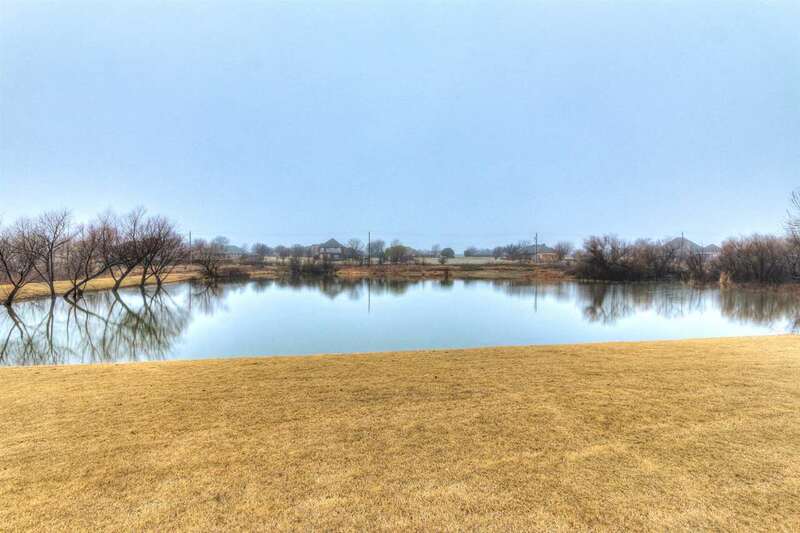 2nd 2.3 acre lot available to north for an extra $59,900.